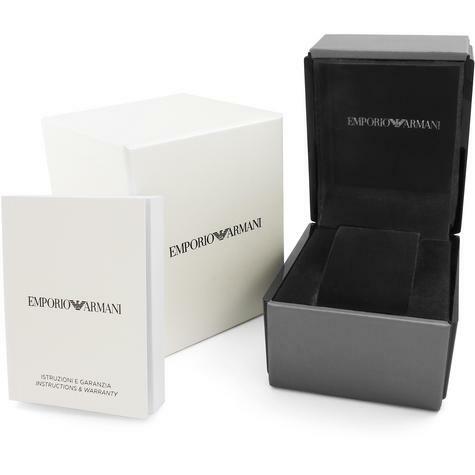 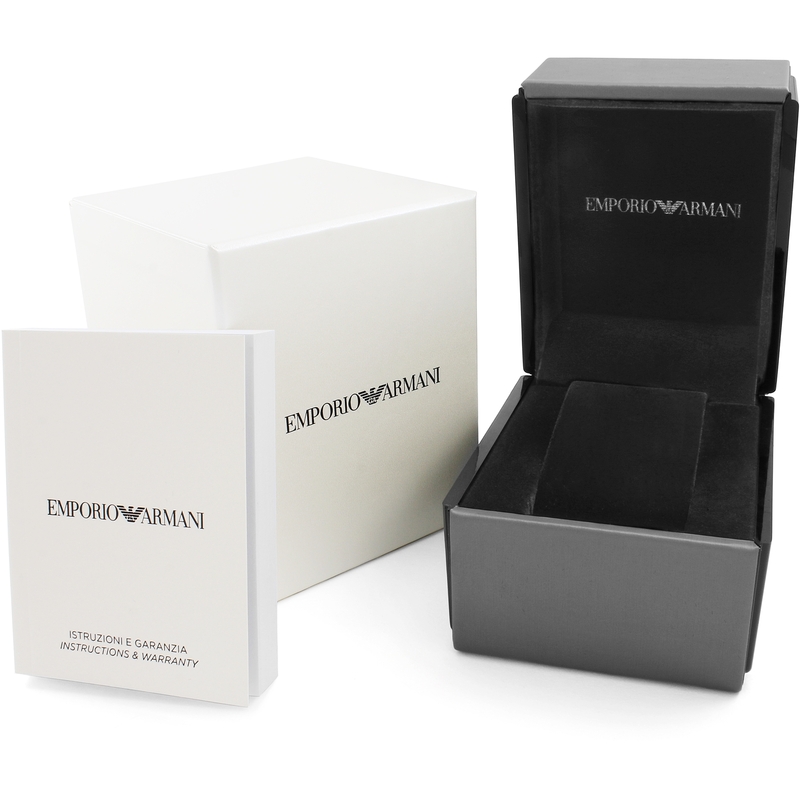 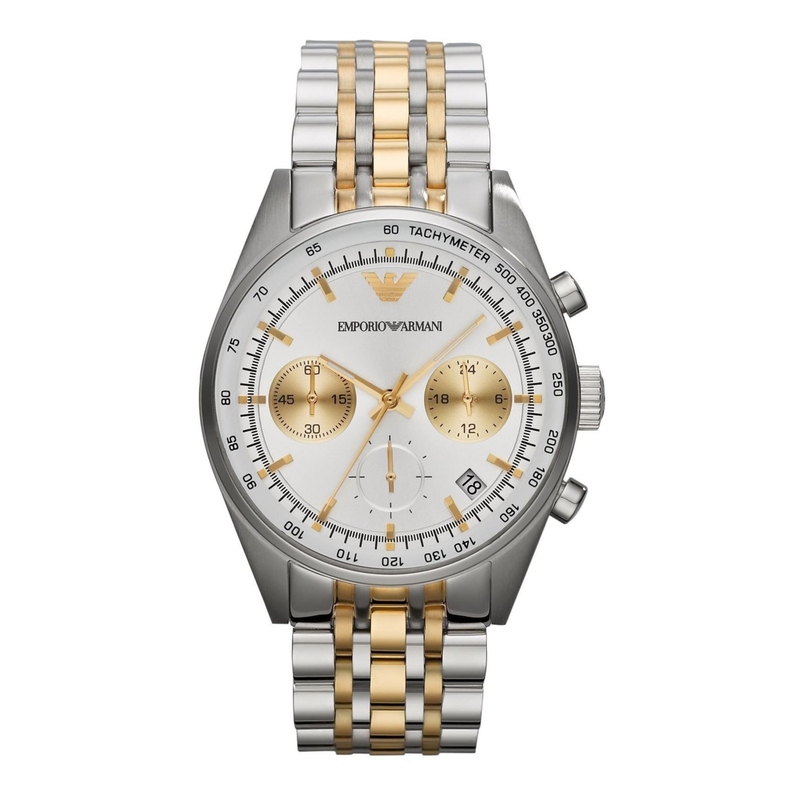 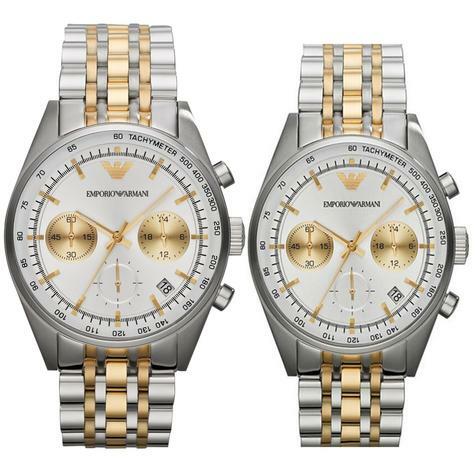 A striking two-tone design by Emporio Armani. 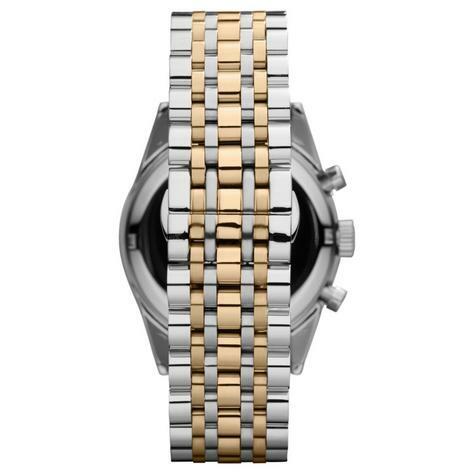 This sporty model is made from stainless steel and gold plate with a polished finish. 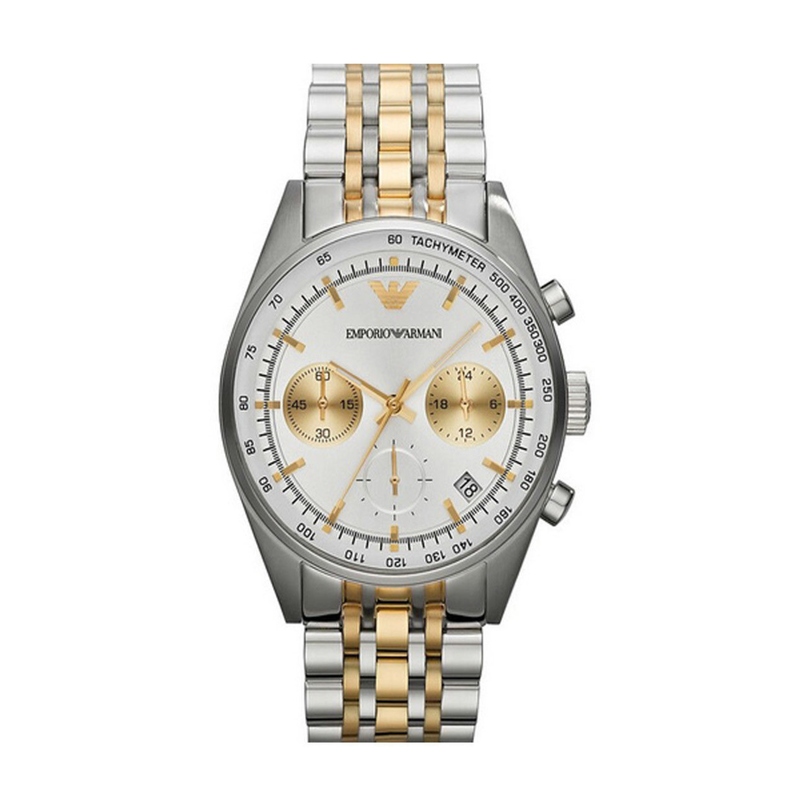 It has a silver dial with gold touches. Features include chronograph, date function, gold baton hour markers and high-vis hands. 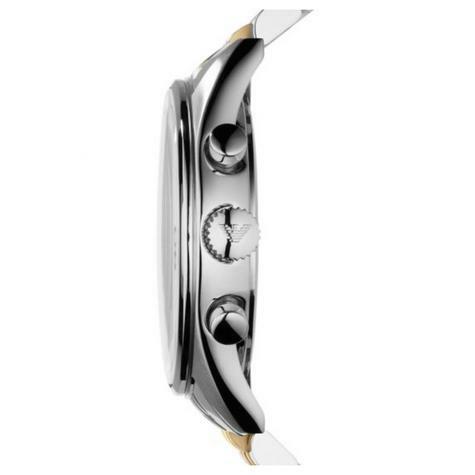 It fastens with a two-tone bracelet, 50m water resistant and is powered by a quality quartz movement.